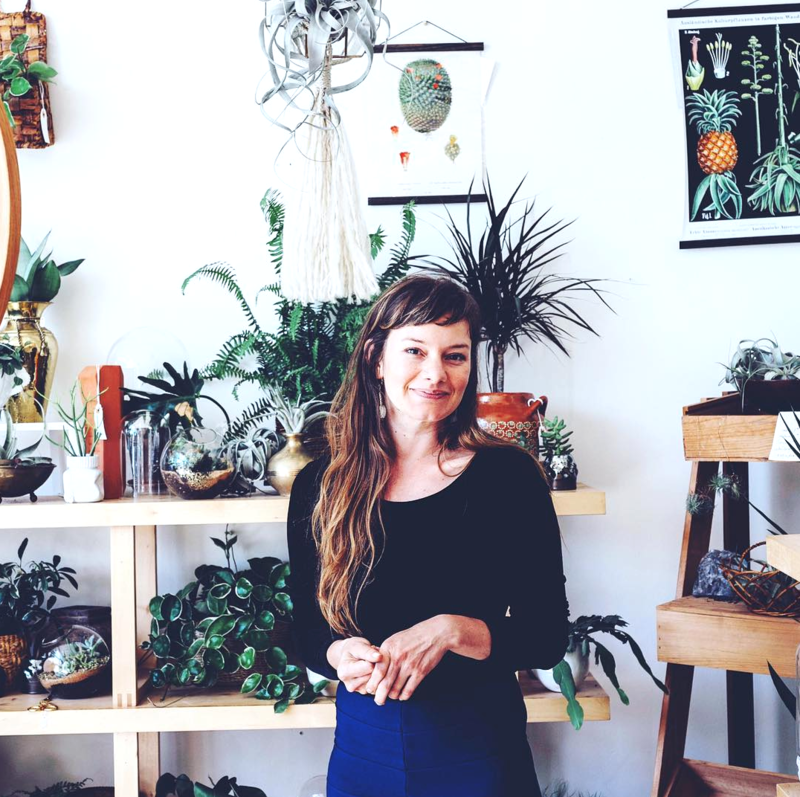 Keri Anderson of Slavonk & Hortus, now The Plant Party, is doing just that — throwing parties and bringing plants along with her. 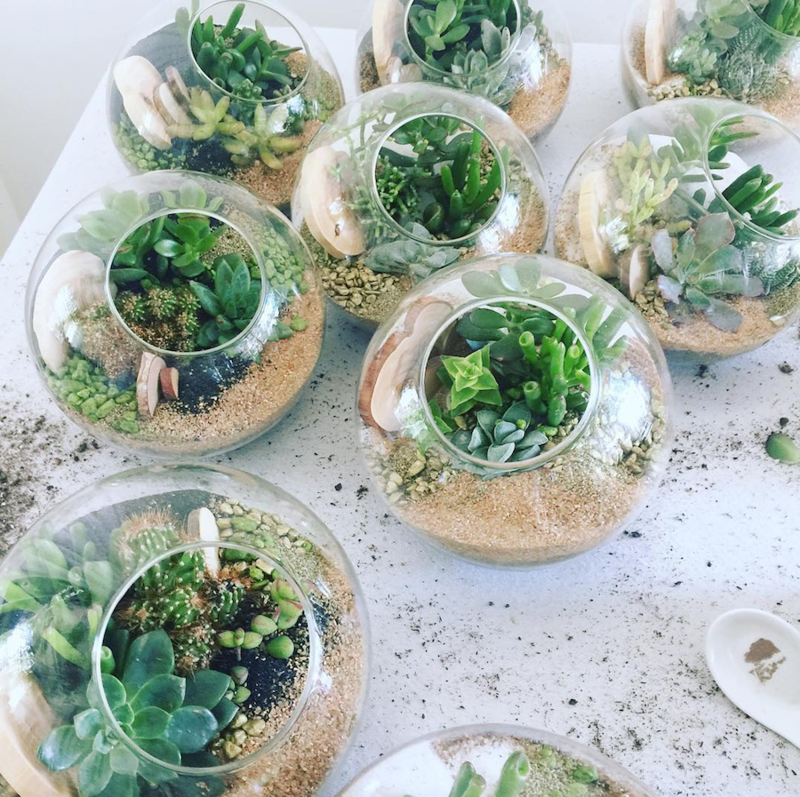 In 2010, Keri began making and selling her succulent designs to Whole Foods and built a substantial wholesale business that led her to open her first studio in 2014. 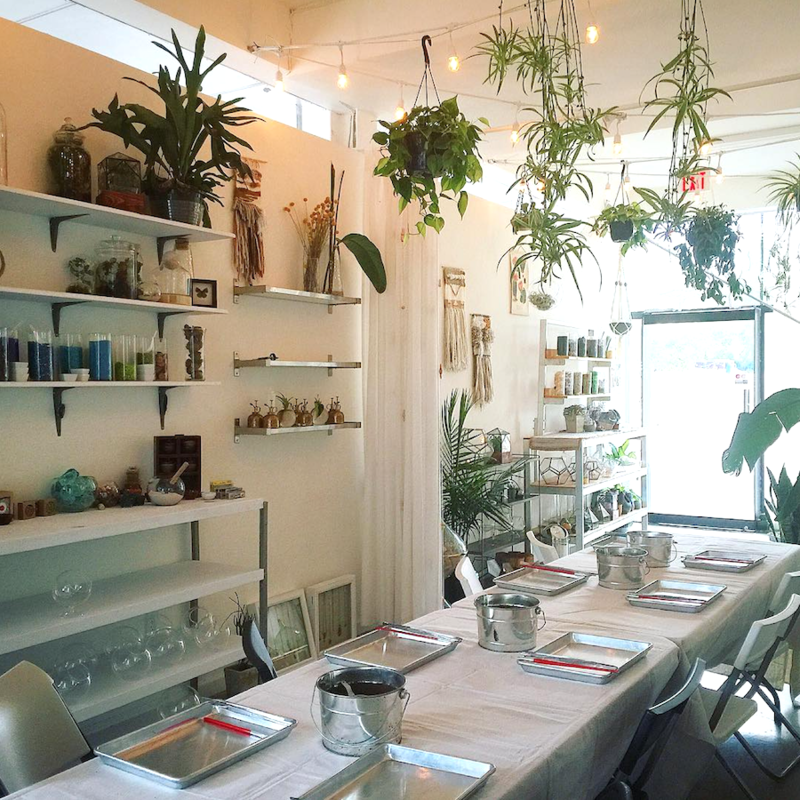 Today, The Plant Party offers classes, hosts Terrarium building parties, designs gorgeous arrangements, and has a retail storefront. Below, Keri tells us how it all began, how she balances work and life, and what her advice is for those wanting to pursue their own passion. 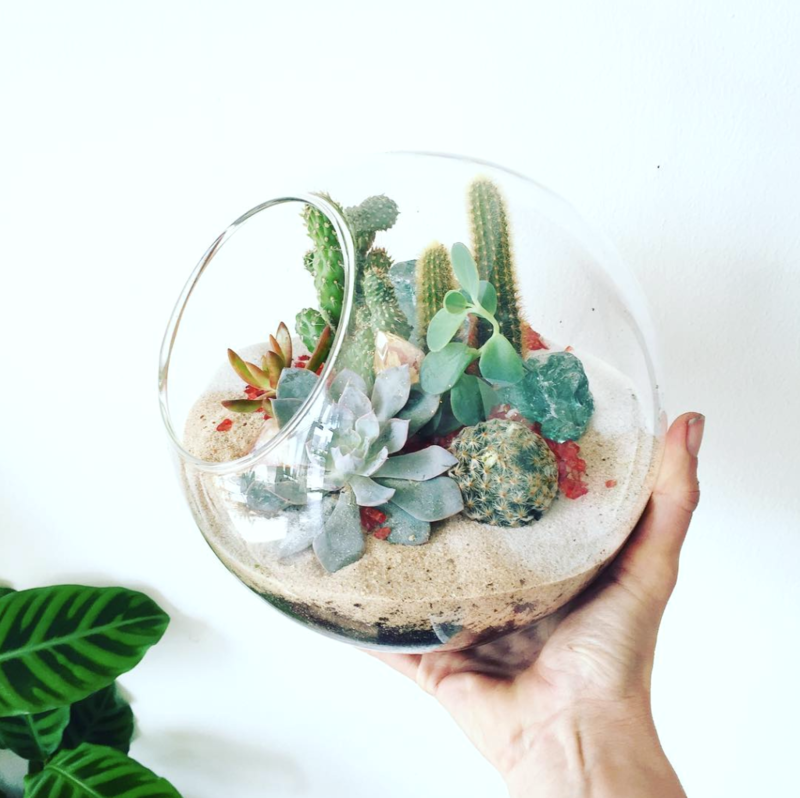 How did you get into succulents? When did it turn into a business? I first started in floral and I didn’t like the chemicals in floral. My hands would shake, and I had pigment changes and horrible allergies. I worked [there] for about a year and a half and we had pretty good accounts, and it was neat to be in high end [markets] and get to play with big production. Eventually I started working at a coffee shop, and then I started making enclosed designs. I started selling them at the coffee shop for like $30-$50 and then one regular of mine bought a really large vase for like $300, so I was like, I wanna hop on that. I came up with a logo and my grandfather was like, ‘I like what you’re doing so let’s see where this goes’ and he helped me financially for a little bit. I decided I wanted to go big and get into the succulents, so I threw a pitch to Whole Foods by emailing every single person in the departments. And then I actually interviewed with a lady who was a regular at my coffee shop. I was working from home and had a greenhouse, but it was just too hot in the summer so my grandfather was like, let’s get a space. We started out in very South Austin, off Manchaca. That was my first little retail [space]. I figured, I think other people would really enjoy doing this too. People drove all the way out there and I had classes with 15-25 people. We were there for about two years and then I came here. I guess I didn’t expect to have so much fun. I feel like being creative is hard to do with business, especially to portray it. I’m learning more about how to best portray it with marketing. That was probably the most fun part to learn. I’m really not good at due dates. Especially with tax stuff and paperwork. I like being well-rounded and I like keeping that challenge because it’s always like pulling me back down to earth. What is it like being a working mom and business owner? How do you balance it? You just have to go for it! Expect a messier than normal day to day. Your house may not be clean, but you got that client. It’s sometimes nitty gritty, it’s messy; it’s not spending money on a new wardrobe whenever you feel like it; it’s cutting costs at home. I think it’s just making sure to balance your time — your personal and work life get jealous of each other. I’ve been especially lucky to have family who take my career seriously and can articulate when I need help, but also my son has half the time with his dad. That definitely makes it easier for me to crank out business every other week. What do you like about being on the Eastside? Lately, doing something for someone else. Like with my boyfriend right now, I’m doing something for his business and I really want him to benefit from it. And same thing with my son and my grandparents. Even with Whole Foods I’m like, it has to be perfect. Have a cocktail! At a cute restaurant and dress up, and actually feel like I have a day off. I love going to Justine’s because they have good cocktails and a good patio. I feel Slavonk & Hortus, now The Plant Party, is looking forward to more events. 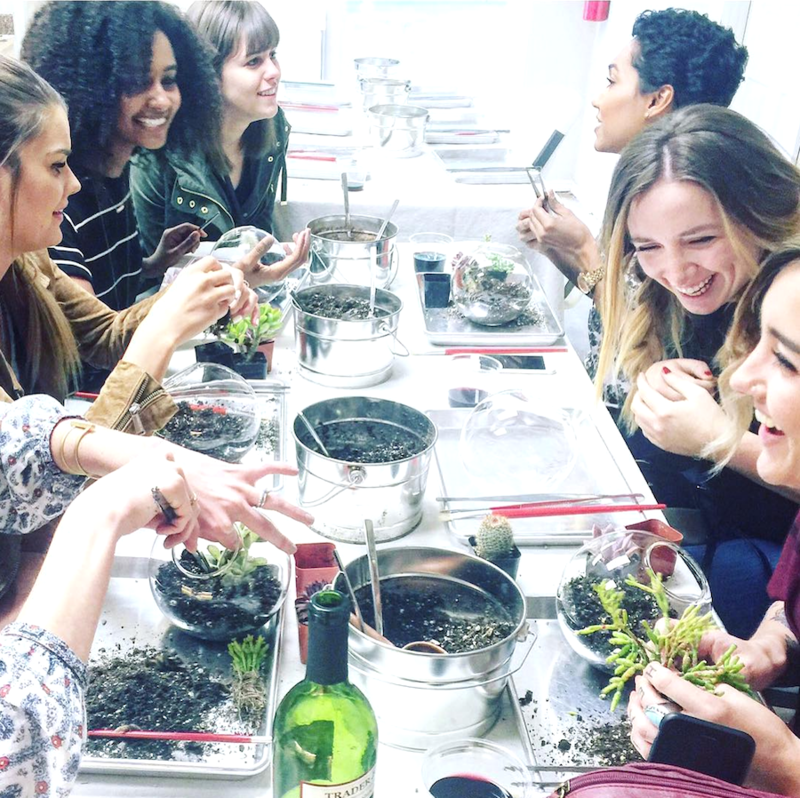 We’ve launched our plant rental catalog with Party at the Moontower Event Rentals and create beautiful succulent arrangements for Gather Venues and REVELRY for parties and events. I’m also currently working on taking a lot of what we do in store, online. 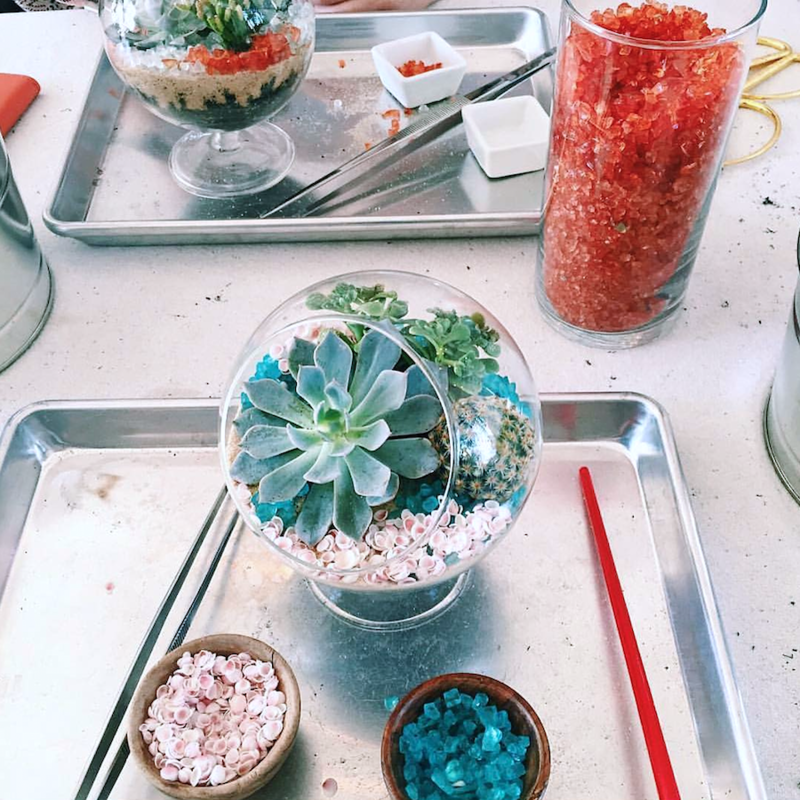 Expect in the near future: Shippable Plant Kits + Build Your Own Terrarium Online + Pottery and Supply. And we’ll still offer Plant Parties in house + Plant Retail. What advice do you have for those who want to pursue their passion as a business?